Yet again Karachi did it! 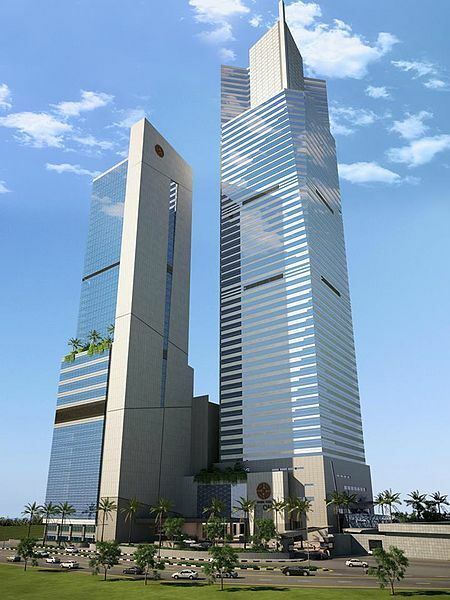 Karachi now has the tallest building in South Asia - The Bahria Icon Tower in Clifton. This would be the second time a building in Pakistan has held the title since the HBL Tower held the title for 7 years between 1963-1970, being the tallest building in Asia (1963-1968) and the first building in Asia to be taller than 100m. With 62 floors, Bahria Icon Tower is 286 meters (938 ft). You may get comfort from strenuous workout sessions and exercising that consists of arduous crunches and take a seat-u.S.A.Inside the gymnasium. It is hardly ever time eating. Inside couple of minutes, your activity to tran your muscle tissue gets finished. It is absolutely safe with FDA approval. What is a central vacuum system? How to find the top central vacuum? Which are the important factors to consider while choosing a central vacuum system? This is what you are going to learn here. Some effective tips for you to remember regarding the choice and maintenance of central vacuum system. if you want more just look here "best central vacuum system"
Yes Very informative and useful. I am also maintaining a blog where I review the best shower technology available on the market. Halloween image has to be dark and full of Halloween elements. To give a spooky effect, you can really opt for images that are justifying the Halloween theme.